PRODUCT DESCRIPTION: This is the classic formulation of lice shampoo which uses Pyrethrin as the active ingredient to kill lice. 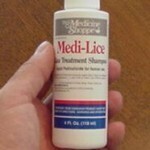 It is used on areas of the body where you have active lice including heads, under arms and pubic areas. The key is to use enough of it to get the area completely covered and then leave it on for 10 minutes. 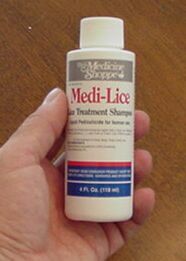 You should then use some of our Lice Enzyme to help remove nits. Repeat this process 7 days later. WHERE TO USE IT: Any part of the body which has hair. RATE OF APPLICATION: Each jar is 4 ounces and should be enough for several shampoos unless your hair is really long or thick.